The lovely Rosie from A Pocket Full of Rosie tagged me with this challenge yesterday which I was very excited about. It's been quiet in work today so I scanned my attempt in. I didn't have any fancy paper with me in work so I wrote everything down in my Cath Kidston diary. 1. Name and blog name. 3. Write, "A quick brown fox jumped over the lazy dog!" 7. Anything you want to say! + tag some other bloggers. 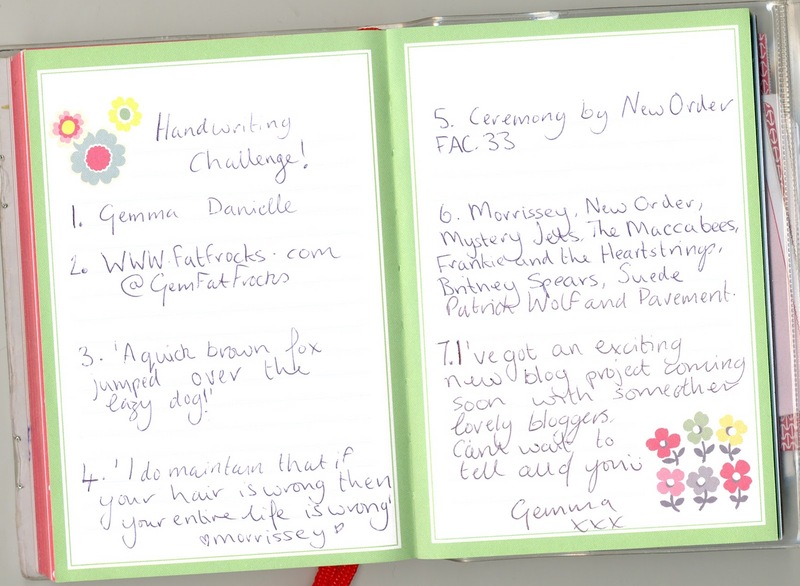 If any of you are taking part in the handwritten challenge share your link and I will check them out. Everyone having a good weekend? Cool challenge, thanks for tagging :) I will do it tomorrow. Beautiful stationary and pretty hand writing to go with it! I like how you write 'fox' and 'lazy'! I love seeing handwriting. Wish mine was nicer though.